Is the Middle East’s Communications Business now 24/7 due to #SocialMedia? There have been a slew of articles coming out from the US and Europe on social media and when to communicate to ensure that a message gets heard by a maximum number of people. Blogs from Bitly and other social media tools have highlighted the issue of timing and its importance in terms of how content goes viral. I hadn’t heard of anything along those lines in the Middle East until recently, when one agency told me they’d won a contract to promote a national sports league via social media. The agency in question claimed that they had an ace up their sleeve during the pitch; they’d guaranteed the client that they would communicate in the evenings during the matches themselves, rather than promoting the games during office hours. The thinking was simple. The target audience would be most focused on the sport an hour or two before, during and an hour or two after the games. By that logic, wouldn’t the same also ring true for a variety of other audiences across the region? For example, for non-alcoholic drinks such as Barbican one of the prime times for selling is during football games. Similarly, wouldn’t restaurants and other venues which do most of their business in the evening do well to communicate afternoons and evenings rather than in the morning? It’s an interesting one to think about for marketing and communications professionals. I’d love to see someone coming up with similar studies to the bitly blog and Infographic above, particularly for the GCC region. But I’m guessing most business and brand-related social media communications in the Middle East are being posted during office hours. Everyone I know in the marcomms industry has a smartphone, a laptop, a tablet, and a 3G mobile connection. Connectivity doesn’t seem to be the issue to communicating outside of office hours, so then what is? Is it all down to the permissions and approvals processes that companies here have in place? There are a myriad of tools which can help measure responses and even suggest the optimal time to post messages on social media based on previous data. One to look at is Crowdbooster. This online tool is free to use and you can use it to schedule messages to Twitter and Facebook. 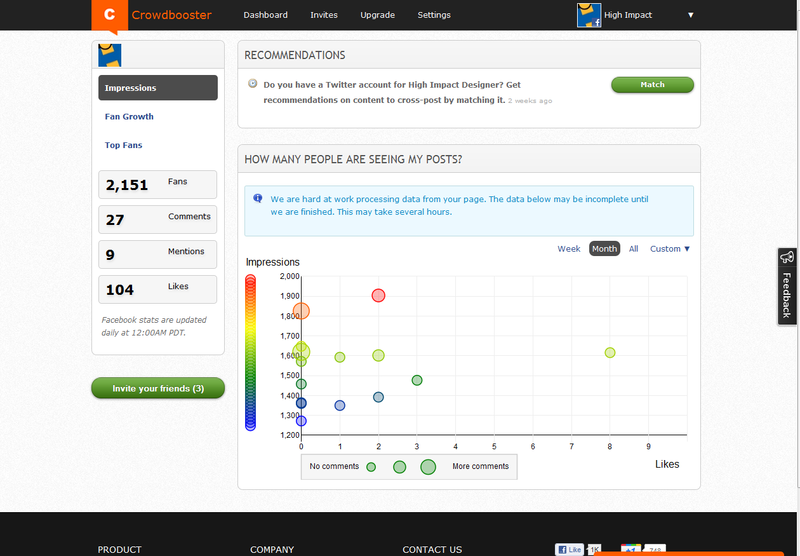 If you’re looking for a basic but useful tool to work out when to post to social media, try out Crowdbooster. But do remember, don’t sleep and tweet or Facebook! Or else you might end up writing something that you will regret. This entry was posted in Social Media and tagged Bitly, communications, content, content distribution, Crowdbooster, facebook, GCC, middle east, social media, timings, twitter, viral marketing by alexofarabia. Bookmark the permalink. Yes, I know 😦 I’d hope that a body in the region could do the same here. With the diverse cultural makeup of this region it’d be fascinating to know when specific groups are active, to get the most mileage out of any content distributed via social media.